Earthbag building is very similar to cob in that when you tell most people what you are doing, you receive incredulous looks. This is the same reaction I get when people find out I’m a vegetarian in Montana, or that I empty my toilet by hand into a compost heap for future garden use. Alas, we rise above and gently explain why in the world we would build a house on a pile of earth filled plastic bags. My next post is going to be a review of a number of wonderful books I happened to read through this year, but I thought I would give a small preview and mention the book Mud Ball by Atulya Bingham who is a delightful writer and natural builder. No one has penned greater descriptions of the puzzled and perplexed reactions natural builders get from both strangers and friends not familiar with alternative building. Our bag building is limited to stem wall of our house. 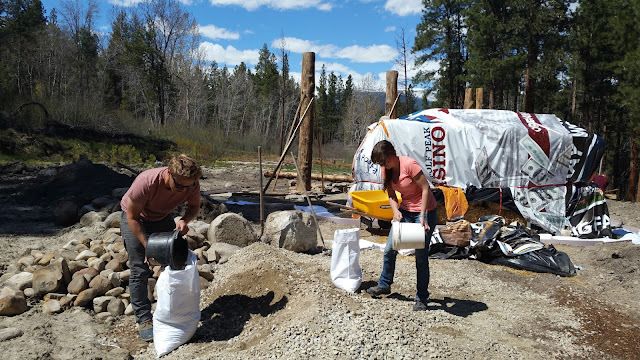 Each bag is filled with a strawless cob mixture comprised of aggregate and clay, tied closed, and tamped into place. 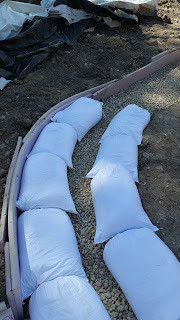 Our walls are so large that even the 15 inch bags are not wide enough; this is why we chose to do a double wide row of bags and leave a small gap for insulation. The total foundation width is 32-34 inches. After each layer of bags is placed, a double row of 4-point barbed wire is sandwiched between the bag layers to secure the bags together. We will be using approximately 1,000 bags for the two feet of stem wall that helps prevent moisture from migrating to our straw bale walls. Questions frequently asked are, “What happens when the bags break down?”, “Won’t the bags just fall over?”, and my favorite, “Isn’t cement stronger?” If I am in a rush I answer with a very simple “No” or “Nothing” to all of these questions, but luckily I have some time to type some real answers. So, what happens when the bags break down? The answer is that they probably won’t break down for a few dozen generations. This study demonstrates that poly bags in a marine environment showed no significant signs of degradation. Other reports demonstrate that UV exposure is the path to bag deterioration as the polymers crystallize into smaller and smaller fragments the more sunlight they receive. As our bags will be covered with a few inches of earthen plaster, UV exposure is limited to the construction period. However, the bags are not the structural strength of earthbag building. 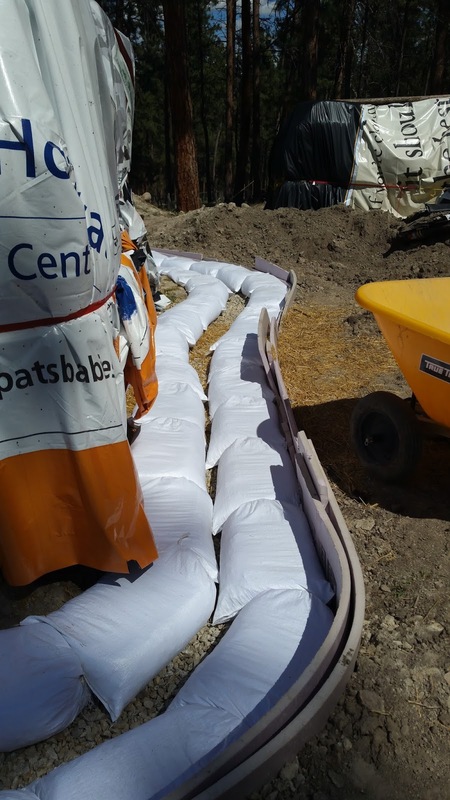 Earthbags function similar to rammed earth buildings in that each brick of poly covered soil is highly compressed and forms an almost indestructible form. Even long after the bags have ripped, the compact soil will remain strong. Earthbags prevent slipping and thus will not fall over during construction due to the combined weight of the bags themselves and the velcro-like barbed wire between each course. Much like the bags, barbed wire is inexpensive and fairly easy to work with when wearing gloves. Consecutive bags are laid over the cracks of the previous layer much like bricks and give the walls an enormous amount of strength. Like all building, curved walls are strongest, which is why so many earth-baggers choose to build round structures. Spiritwood house is a bit more rectangular than others due to the anticipated straw bales, but we were able to work in quite a bit of curvature even in the straightest of walls. Oh, cement. How I despise you. While there is huge media coverage of how the oil industry is destroying our planet, the cement tycoons of the world continue to pillage the earth in the shadows. The cement industry rakes in around $250 billion in profits each year and contributes massive quantities of greenhouse gases to our atmosphere. As for strength, it has nothing when compared to earthen building. You may laugh, but cement is a rigid and unforgiving material. While strong in compressive strength it is inflexible when compared to cob or bale or bag walls. For me, cement work is nasty business and should be used as little as possible while building. This is our first experience with earthbag building and as with everything in the natural building world, we have found it exhilarating and exhausting. 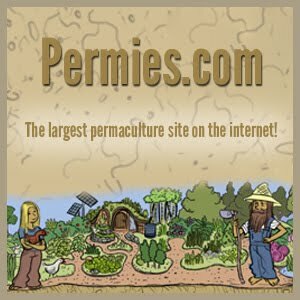 I highly recommend using earthbags to anyone interested in natural building, on a time crunch, or without the funds for something costly. Bags are cheap when new and insanely affordable when used. The only used bags I have found have been from my local breweries that purchase bags of specialty malts. 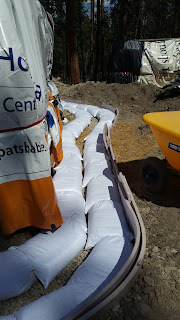 These bags are monster sized and are being used for the foundation for our trombe wall. There is a plethora of resources for earthbag building; we found Earthbag Building: The Tools, Trick and Techniques by authors Kaki Hunter and Donald Kiffmeyer to be extremely helpful. 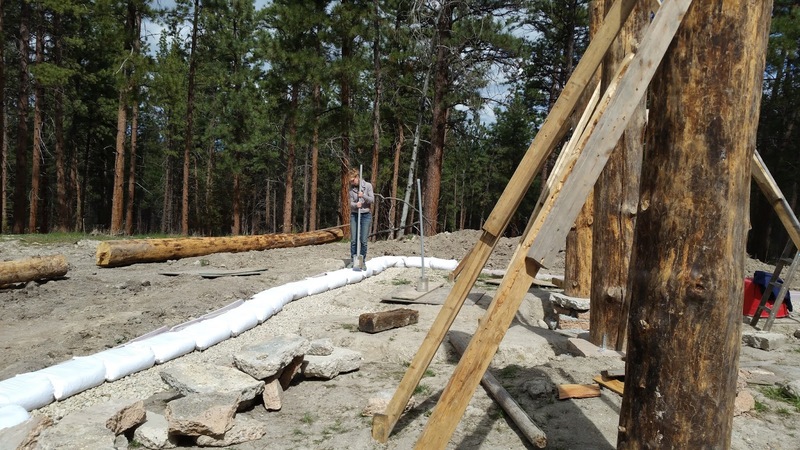 Also, the natural building blog is chock-full of helpful Q&A.